If you want to have a rest for a week, see different geographies and different cultures, you will be interested in one of the best sightseeing routes below. We have prapared “Turkey–in–1–week Itineraries” for you. Those cities are close to each other, so renting a car would be convenient. Start the tour of Thrace and Marmara from Kırklareli, so you can fit a city every day. After seeing the historical mosques of Edirne, you should see the Rakoczi Museum, and taste Tekirdağ rakı and meatballs in Tekirdağ. After visiting the Karaca Arboretum and Walking Pavilion in Yalova, visit the Grand Mosque and historical Kozahan in Bursa. Take a walk in Sapanca Lake in Sakarya and visit Taraklı houses. See the old historical huts and Eskihisar Castle in Kocaeli. 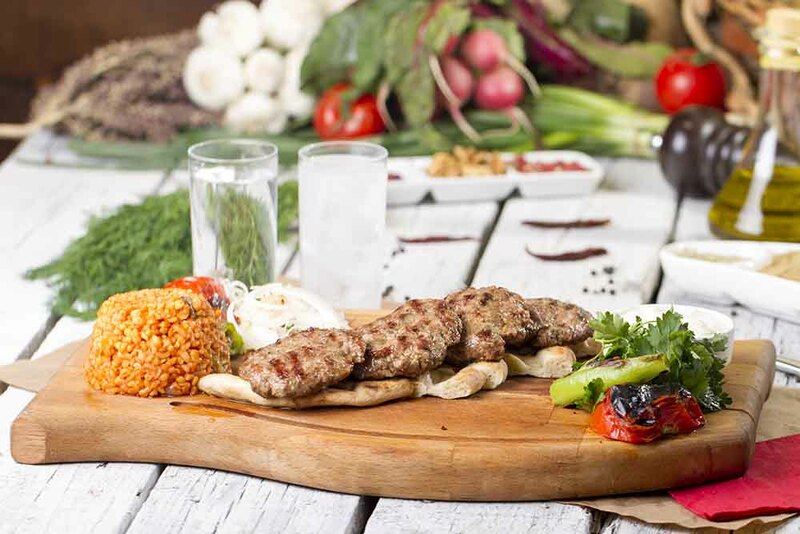 Delicious Turkish Traditional Kebab Kofte with vegetables on wood plate (meatballs). After a cool day in Balıkesir Kazdağı National Park, swim in Ayvalık beaches. Stop by Cunda Island and go to Izmir. You can visit Kemeraltı and Ephesus Ancient City in İzmir and take a swim in Çeşme. Try the sea in Kuşadası, visit the Temple of Apollo in Didim, and watch camel wrestling. In Fethiye, do paragliding and sunbathe in the world–famous Ölüdeniz. Join the boat trips in Dalyan and watch the sunset on Cleopatra beach. One of the best beach of Turkey, Oludeniz in Fethiye. 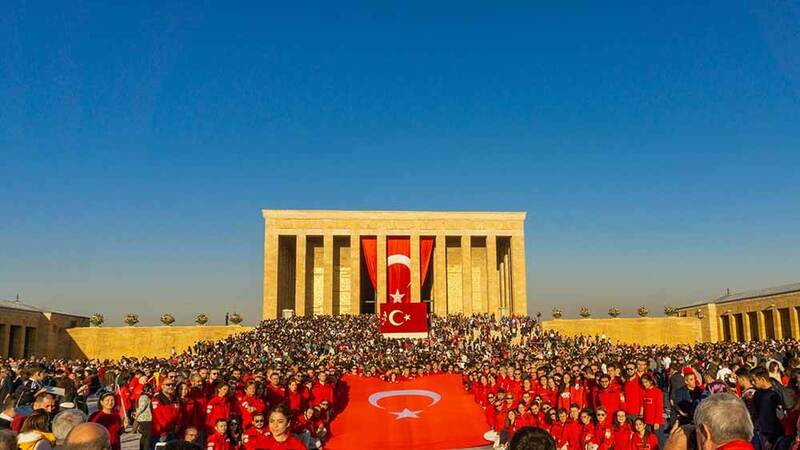 Visit the Anıtkabir and Ethnography Museum in Ankara and take a walk in the Youth Park. Visit the historic houses of Odun Pazarı in Eskişehir, then participate in a boat tour in Porsuk River, and visit the Sazova Park with the ETİ Underwater World. Then move to Konya and visit the Mevlana Tomb, Alaeddin Hill, and Meram Vineyards in Konya. The next day, go to the Cappadocia region with a visit to Selime Cathedral and St. Gregorius Church in Aksaray. Divide the first day of your 2-day Cappadocia tour into the Ihlara Valley. Join the morning balloon tour, and visit Urgup, Goreme, Avanos regions the next day. See historic buildings and fairy chimneys. Take the cable car to Erciyes in Kayseri and visit the underground city. Enjoy being a horseman in Kahramanmaraş by taking a horse tour. Visit the historic buildings, especially Taşköprü, in Adana and visit the ancient city of Şar. After visiting the open-air museum in Osmaniye, trek in Aslantaş National Park. Visit the Zeugma Mosaic Museum, Antep Castle, and Bakırcılar bazaar in Gaziantep and taste the local delicacies. Visit the traditional Kilis houses and mansions and visit the historic bazaar. Visit the Uzun Bazaar in Hatay, stop by the Pierre Church. Besikli Cave tomb monument in Antakya (Hatay) Turkey. In tombs, 12 rock tombs are found which belongs to Roman. Watch the sun rise on Mount Nemrut in Adıyaman and stop by the Cendere Bridge. After visiting Balıklı Lake in Şanlıurfa, stop by Göbeklitepe, see the houses of Harran and the kelaynak birds. Take a tour of the city of Diyarbakır with the historic walls. Stop by the bedesten and the historic bazaar and shop. 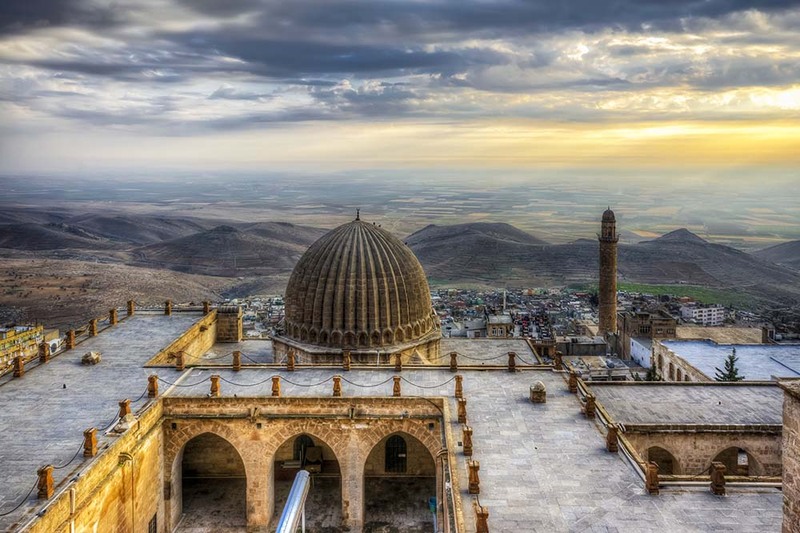 Visit Darul Zaferan Monastery in Mardin, along with the Kasimiye Madrasa. 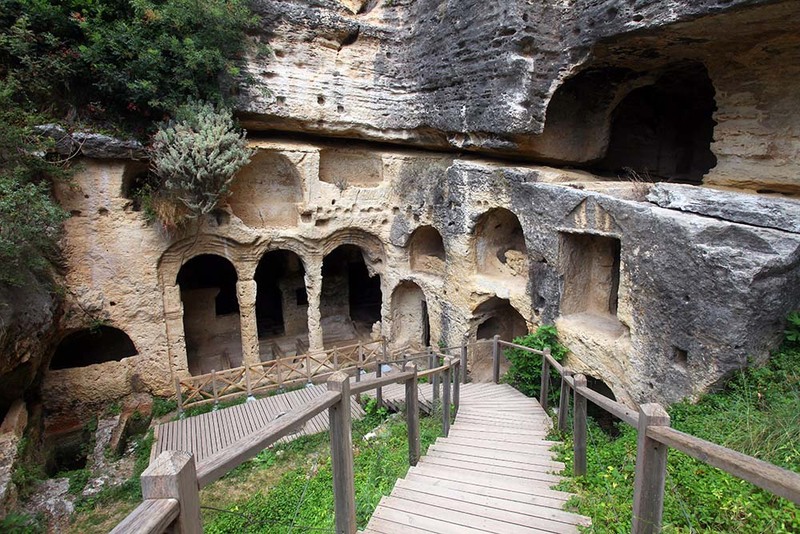 Visit the historic Mardin houses and the Hasankeyf in Batman. Take a photo on Memikan Bridge. Zinciriye Madrasah vire in Mardin. You will see a city every day of your week–long tour along the coastline. After visiting the historical prison and Hamsilos bay in Sinop, go to Amisos Hill in Samsun and see the Bandırma ferry. On the way to Ordu, stop by Yason Church and head to Boztepe by cable car. Visit the castle of Tirebolu in Giresun and go to Giresun Island, the only island in the Black Sea. After visiting the Uzun Lake and Sumela Monastery in Trabzon, take a walk in Ayder in Rize. Watch the bullfights in Artvin and take a photo in Karagöl. 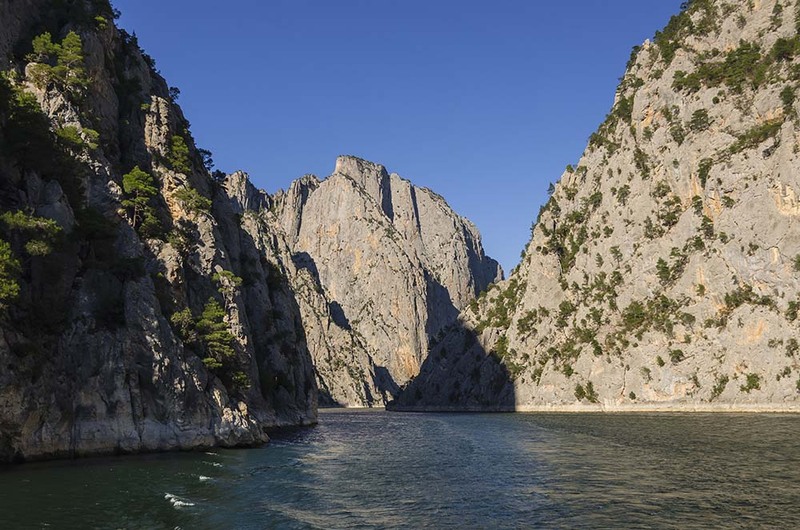 Sahinkaya Canyon is one of the most beautiful canyons in Altinkaya Dam reservoir. Where Does the Crescent and the Star Icon Come From?